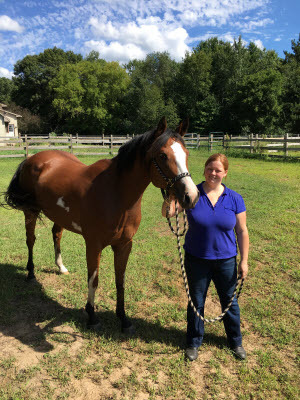 Orange Rose Stables is a family owned dressage and hunter/jumper facility. We offer lessons to riders of all ages, from young children to the adult horse enthusiasts. Friendly lesson horses and ponies are available. For year-round riding we have a 60' by 120' indoor arena and an 80' by 150' outdoor arena. Nina Welschen originated from Germany and brings over 20 years of horse experience. Her lessons are taught after the german principles of horsemanship. 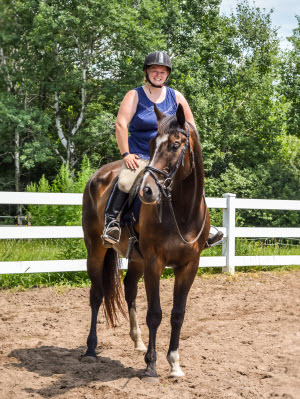 Nina strives to make each lesson a fun learning experience for you and the horse. She enjoys working with riders of all ages and skill levels. Whether Dressage or Jumping, Nina teaches an effective and safe seat and independent hands for the best communication between horse and rider.